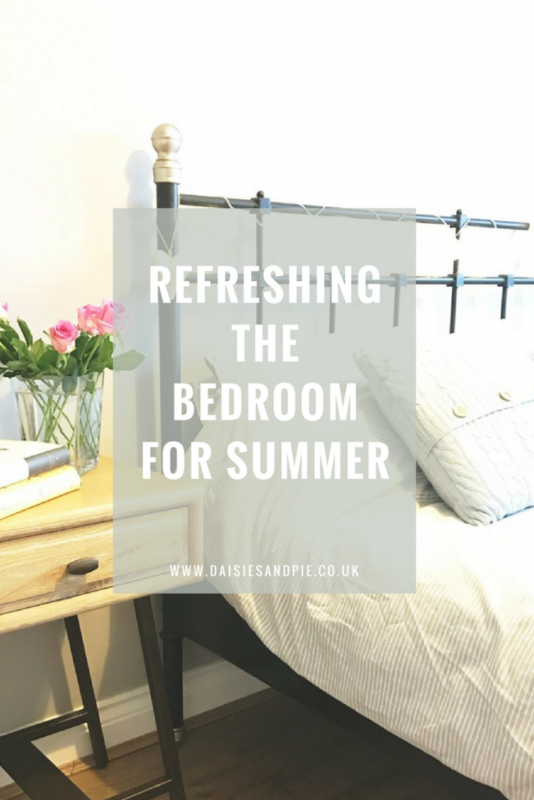 Summer is a great time to think about refreshing the bedroom and get things looking and feeling good. A quick freshen up can be as simple as just tackling four key areas and can make your bedroom feel a whole lot nicer and more luxurious to spend time in. Clear away any clutter, it’ll make the room feel more spacious and airy. If you’ve overlooked your bedroom for a while maybe go the whole way and do a top to bottom spring clean – you can grab our bedroom spring clean checklist here. Warmer weather means you can give attention to a few cleaning jobs you may have been putting off, like deep cleaning pillows and mattresses. Tackling this job in summer means they’ll dry and air much quicker and leave your bed feeling much fresher and cleaner. You can get our step by step guide to washing your pillows and mattress cleaning and care guide over on Bensons for Beds. Pack away the winter bedding, the thick quilts and blankets and replace them with light weight bedding. It’s nice to switch to paler colours during the summer, fresh whites and neutrals give a room a lovely summery airy feel. Give the windows a clean so they sparkle. Switch heavy window dressings to lighter weight floaty textiles. If the early morning sun bothers you, now would be a great time to fit black out blinds. Bring the outdoors in and create pretty flower posies, this can be as simple as jam jar flowers or treat yourself to a bouquet of lovely summer blooms, classics like Peonies, Iris or Gerbera. Try freshly picked stems of Lavender tied into bundles with ribbon, just hung casually around the bedroom, not only will it look pretty but it’ll also help you to relax and sleep better. You can keep up to date with all the Bensons for Beds news over on Twitter and Facebook. Disclaimer – Sponsored post on behalf of Bensons for Beds, for full details of my disclosure policy read here. The secret to streak free mirrors - naturally!